The Visitation refers to the time when Mary, receiving the news from the angel Gabriel that she was going to become the mother of Jesus as well as that her cousin Elizabeth was going to have a baby, rushed to her elder cousin’s side. 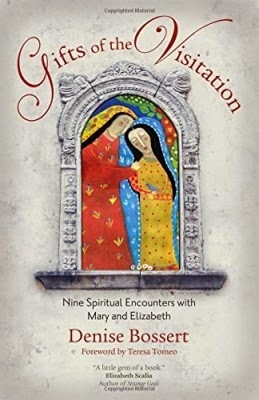 Gifts of the Visitation by Denise Bossert is an in-depth look at this event, inviting readers to learn from both of these holy women. Mary and Elizabeth shared nine gifts that we are encouraged to emulate: spontaneity, courage, joy, readiness, humility, a spirit of adventure, hospitality, wonder and awe, and thanksgiving. Bossert explores how both of these women demonstrate these qualities. While so much has been written on Mary, and rightfully so, it is interesting and valuable to view the visitation from Elizabeth’s point of view as well. Bossert does this with great tenderness and insight. Each chapter includes a reflection and prayer. In keeping with the theme of nine, a novena is also included which one may choose to pray while reading the book over a course of nine days. Bossert is a convert to the Catholic faith. The daughter of a Protestant minister, this was not an easy journey for her to take, and she willingly admits that Mary was a huge stumbling block. The story of how she came to appreciate and esteem Mary so much that she wrote a book about her is well worth reading! Mary and Elizabeth “knew how to serve one another, for love of God.” God gave them the grace they needed for their respective spiritual journeys which changed the world. We can rest in the knowledge that God provides us with what we need as well. In reading and reflecting on “The Gift of the Visitation” we can seek to imitate these amazing women and carry out God’s will for us in our own lives. "An Amish Cradle" features four novellas from some of the most well-known writers of Amish fiction. The unifying topic is the coming of a baby (and in one case, babies). Amy Clipston writes "A Son for Always" which tells of Carolyn Glick. Glick gave birth to Benjamin as an unwed teenager and has always felt she needed to provide for him. Now in her thirties and married to Joshua Glick, she is expecting again. Joshua has always been good to both her and her son, but Carolyn still isn't willing to let go of working outside of the home out of fear that Benjamin won't be able to establish himself in life without her help. Can Carolyn let go and trust her husband? "A Heart Full of Love" by Kathleen Fuller centers on Ellie Miller, married to Christopher. Ellie is a blind woman, about to give birth to twins. Her mother, Edna, is terrified that Ellie will unintentionally harm one of the babies, and steps in to make sure that doesn't happen. As well-intentioned as she may be, Edna leaves Ellie feeling totally inadequate and deprived of her babies. Meanwhile, Christopher has to leave for several weeks for work. This story offers an interesting dynamic between a woman, her mother, and her husband. Vannetta Chapman shares "An Unexpected Blessing." Etta Bontrager and her husband Mose are in their early forties with a child on the way, a child who will be younger than their first grandchild! She has had six other children, one of which is out in the world, lost to the community. Her last pregnancy, several years earlier, died prematurely at birth. Meanwhile, their farm is in trouble due to a failed crop. Etta and Mose will be forced to trust in a God full of surprises. The story I wish to focus most on is the first, "In His Father's Arms" by Beth Wiseman. While all four of these novellas are very pro-life, this particular story is especially so. Ruth Anne and Levi are a very young married couple, only in their late teens. They are excited about the birth of their first son, Joshua, but the fact that he has Down Syndrome complicates things. Levi had a cousin with the same syndrome who died young and he is scared to bond with his son and then lose him. These leaves Ruth Anne feeling all alone to cope with the doctor's appointments and the usual stress of having a new newborn. In a world in which far too many babies are aborted because of Down Syndrome, these novella offers an honest and very positive story about a young family trying to cope. 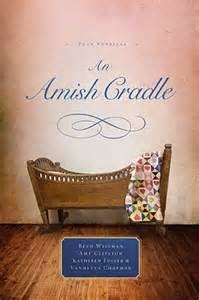 "An Amish Cradle" is a delight. The stories are long enough to allow for full character development and enjoyable plot lines, while being short enough for busy readers to complete and enjoy. A Catholic Gardener's Spiritual Almanac by Margaret Rose Realy is a "book designed to take your desire to be near god and find a way to make him more apparent through your gardens. We can bring elements of our faith into outdoor spaces to help us focus on prayer, see more clearly relevant Bible passages about nature and appreciate our Catholic heritage on a deeper level." Designed for an experienced gardener, it offers both spiritual and practical information on gardening. Realy offers a topic for each month: January, seeding; February, light; March, pruning; April, preparing the soil; May, beginning to flower; June, transformation and new life; July, storms; August, fruitfulness; September, harvesting; October, preparing for winter; November, dormancy and rest; and December, discerning what is of value. Each month includes "a garden theme focused on the Church's monthly dedication; liturgical events or topics during the month, Bible stories or verses related to the theme; stories of saints . . . including gardening-related saints; practical gardening tips . . . and faith-filled gardening activities." Realy includes some innovative ideas for creating themed gardens, including ones based on the Rosary, Stations of the Cross, and a Christmas garden. 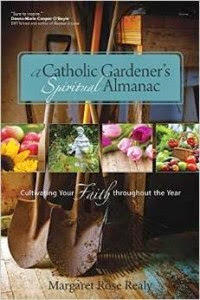 A Catholic Gardener's Spiritual Almanac would be a lovely addition to any Catholic gardener's library. Even as a non-gardener, I found the symbolism and saint stories to be very interesting. When I first heard about this book coming out, I was so excited that I immediately put a hold on it through my local library. Over six months later, it came in. I was truly shocked by the size. Nine and 1/2 inches square with 400 pages and much of that is small print!This is not a leisurely read, but it is definitely an enjoyable one. So many of us have grown up with the "Little House" books by Laura Ingalls Wilder. They are true American treasures and while they were fiction, they were also based largely on fact, painting a picture of the American frontier for millions of boys and girls. "Pioneer Girl: The Annotated Autobiography," is the definitive edition of how those books came to be and the true life and times of the young Laura Ingalls. Ingalls Wilder didn't start out to write a series of children's books. Instead she wrote an adult version of her life story called "Pioneer Girl." Her daughter, author Rose Wilder Lane, who at that time had a career that outshone her mother, attempted to find a publisher for it to no avail. A juvenile version was also developed (included in this book as a facsimile appendix) but that one also could find no buyer. Still the duo did not give up and ultimately the books we know and love came to be written. The Introduction of this autobiography shares this fascinating behind the scenes tale of the creation of the Little House books. Then, the original manuscript itself is included. Truly, the word "annotated" is an understatement. Every fact is checked and explored in this hefty tome. The notes provide an interesting expanded look at the world of this time and the people who inhabited it. The work that went into this project is mind-blowing. 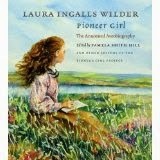 This is the definitive guide on the youth of Laura Ingalls Wilder. Any serious scholar studying or writing about her and anyone interested in learning more about her life will want a copy of this book to spend some quality time with. Be a protecting Mother to my children. Guard their bodies and keep them in health and strength. Guard their minds and keep them pure and strong and happy in the love of God. Always Mother, protect them and keep them under your motherly care. Rupp paints a flattering, but honest portrait of her mother. Like most of us, she had many good qualities, and also her faults. She also portrays her own shortcomings, acknowledging that she wishes that she could have her aging mother back, “so I could be kinder and more understanding.”Yet, in time, she has come to grips with her regret and learned from it. 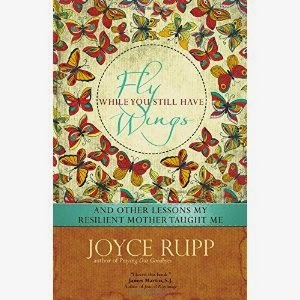 In watching her mother’s slow decline as she aged, Rupp learned much about the aging process and how to relate and be kind to those who are aging, as well as some lessons on how to accept her own aging with grace and dignity. Rupp has much wisdom to offer to those who face the difficult challenge of caring for someone who is in the last years of life. And while none of us truly know how we will react to our own aging process until we get there, Rupp’s mother offers a positive example of how to accept those inevitable changes and, if we need it, accept the care of others. “Fly While You Still Have Wings” is a tale of a particular mother and daughter navigating the elder years together, but it will resonate with many who walk similar journeys. A Reader’s Guide featuring reflection questions is also included for use by individuals or book groups. 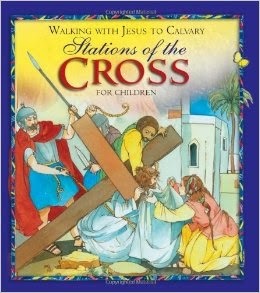 There are many different versions of Stations of the Cross for Children, so what makes this new offering by Angela M. Burrin worth getting? It offers some background information on how the Stations of the Cross began. It also has a "How to Pray the Stations of the Cross" section and suggestions for prayer intentions when praying the Stations. The reflections themselves are each about four paragraphs long and truly bring the reader into the scene of that station. This process is helped by the poignant illustrations by Maria Cristina Lo Cascio. Each station also ends with a prayer. This book has a stated age range of 5 - 10, but those older will find it meaningful as well. This is a wonderful aid for Lenten prayer. The 1840s were not hospitable to unmarried women who were “in the family way.” Mother and child were typically treated as outcasts. Most unwed mothers or their families sought to avoid what was perceived as a disgrace by concealing the pregnancy, and many babies were dropped off under cover of night at orphanages. Others were abandoned or even killed. Some single mothers, however, confessed to Bishop Bourget and pleaded for his help. He turned to the widow Jetté, confident that she would treat them with compassion and find a safe, welcoming place for them. Rosalie, a midwife’s daughter and the mother of 11 children, was well equipped for this delicate mission. From 1840-45, she assisted 25 women, after which the bishop asked Rosalie if she would establish a religious community dedicated uniquely to this ministry. In 1845, Rosalie convinced her son, Pierre, to let her use the unfinished attic of the house he had just rented. With sparse resources and the help of a companion, Rosalie welcomed 33 women that first year. The refuge was both inadequate and impractical, and a series of moves took place over the next five years before land could be purchased to build a proper maternity home and convent. After the first year of religious formation (1846-47), eight sisters took the traditional vows of poverty, chastity and obedience, together with a fourth vow to serve poor, single mothers. With a view to forming “a corps of midwives,” they soon began formal medical training in obstetrics and gynecology. I'm always looking for good books for my children to read as part of their homeschool program. I look at lists online, look a great books lists, lists of classics, etc. Still, it can be a struggle. I try to balance classic literature with more modern works, but I certainly haven't read all the books out there. 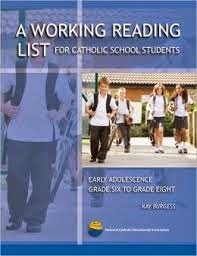 That's why I was so excited to see "A Working Reading List for Catholic School Students." This publication by Kay Burgess, divides works by the virtues they illustrate: faith, hope, love, community, justice, courage, reconciliation, and service. These are all recent works from this century and both non-fiction and fiction are included. Each book includes a short summary. I already found a few I definitely will add to my children's reading list. This is a very helpful tool for choosing modern works for young people to read. Most of us experience Catholicism through a very narrow lens. In my case, it is as a New Englander, raised in a French suburban parish; currently in an ethnically diverse urban one. We may not even realize the many ways the Catholic faith is practiced throughout the world. From the time of the Roman Empire, Catholicism has always interacted with and borrowed from the culture of the places it traveled to. The result is a vibrant faith with many different traditions. http://www.catholicsandcultures.org/ is a new site created by Holy Cross College to educate and expose Catholics to these various traditions. Catholics & Cultures is a growing, changing chronicle of the role of Catholicism among the people and within the cultures where it is lived. Since 1900, the Xavier Society for the Blind has been working to provide the best in Catholic literature, devotion, information and liturgical aids available to the blind, print-impaired and visually impaired in formats they can use. Their clients receive all materials free of charge because of the generosity of many. Angels Take Flight is a Western Massachusetts organization dedicated to providing luggage and comfort items to children forced to leave their homes in a tragic situation such as due to domestic violence, a fire, a foreclosed home, etc. "Receiving the gift of a piece of luggage, clothing and other transitional items can help the children recover a basic necessity of life that can get lost in the transfer to a homeless shelter, safe house, or foster home: human dignity."